On April 3, 2018, the Trump administration released a list of more than 1,300 imported products from China, equivalent to roughly $50 billion in goods, that may be subject to a 25 percent tariff. The proposed tariff, which covers a range of industries including medical devices, batteries, televisions, and aircraft parts, is designed to address Chinese policies of forced technology transfers and inadequate intellectual property protections, which have damaged the commercial relationship between the two countries. In response to the US announcement, Beijing proposed a $50 billion tariff which would significantly impact American chemical, aircraft, and soybean producers, as well as other manufacturers and farmers. Facing this retaliation by China, President Trump, conferring with the US Trade Representative (USTR), proposed an additional $100 billion tariff on Chinese goods if technology transfer and IP safety issues are not improved. 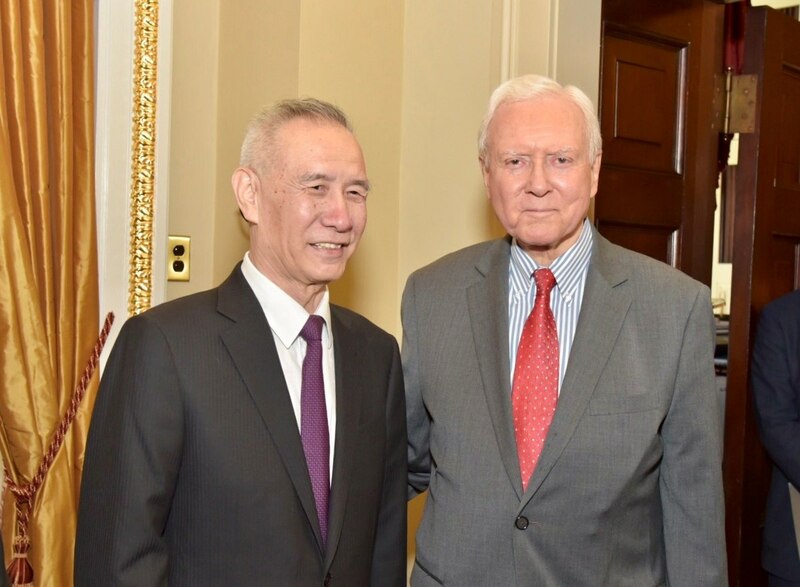 US Senator Orrin Hatch meets with Chinese Vice-Premier Liu He on May 16, 2018. In early May, a delegation from the US headed by Secretary Mnuchin traveled to China to engage in crucial talks aimed at heading off the trade war. The preliminary negotiations ended with key differences between the two parties over tariffs and trade imbalances remaining unresolved. Both sides agreed, however, to keep on talking. Following the somewhat lackluster meetings in Beijing, a Chinese delegation headed by Vice Premier Liu He came to Washington to make good on the promise of continued dialogue. These talks showed potential for productive outcomes, but saw few details set in stone as of yet. Without ironclad agreements, there is no guarantee of an amicable end result between the United States and China. Considering the potential failure of the talks, it is worth asking what good, if any, could come from a trade war for either party, should the talks collapse and both countries renew a combative stance. Historically speaking, trade wars have usually resulted in more losses than gains for those involved. To understand why, let’s examine the past repercussions of increasing tariffs, as well as the possible future implications of the tariff threat for US businesses. One of the most famous examples of US protectionism came during the Great Depression. After World War I, domestic US businesses faced increased international competition, as well as declining prices due to overproduction. When the stock market crashed in 1929, domestic businesses largely supported protectionist measures and, in 1930, President Hoover signed the Smoot-Hawley Tariff Act. The tariff was originally designed to apply to the agricultural industry, but Hoover expanded it to apply to a broad range of sectors. Overall, the Smoot-Hawley Tariff Act raised tariffs on more than over 20,000 imported products by an average of 20 percent. 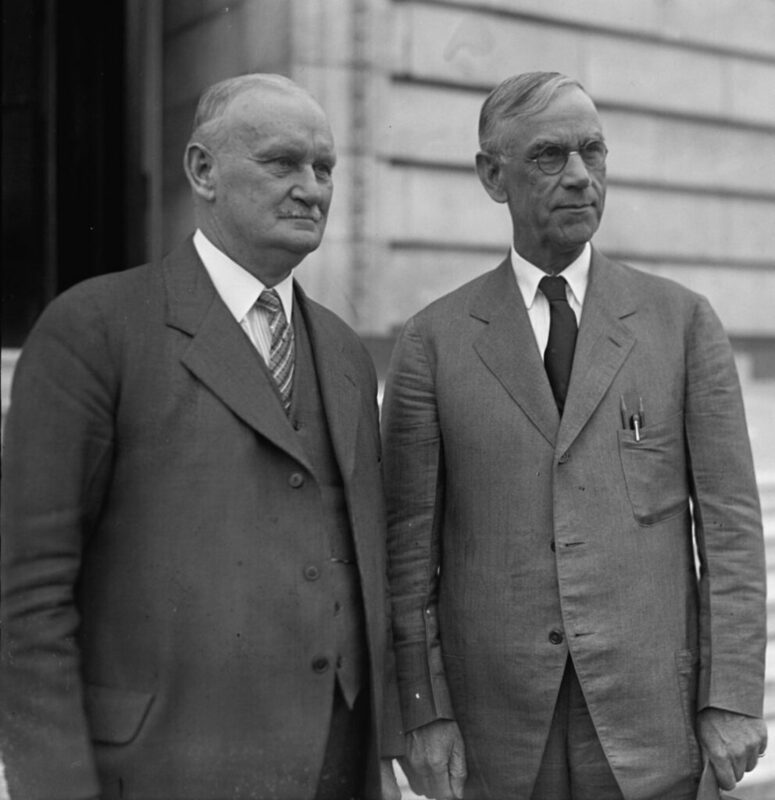 Smoot and Hawley standing together, April 11, 1929. The Smoot-Hawley Act aimed to decrease US imports, which it accomplished. Between 1929 and 1932, US imports from Europe fell by roughly 66 percent. The measure set off a chain reaction of protectionism around the globe, causing more than 20 other nations to enact retaliatory measures. This greatly harmed US exports; following the act, they declined from $5.2 billion in 1929 to $1.7 billion in 1933, a staggering loss. The agricultural sector, which Smoot-Hawley was originally designed to protect, was hit especially hard. Although it was designed to benefit the US, the end result of the Smoot-Hawley Act was ultimately to exacerbate the severe economic pain of the Great Depression. The imposition of even higher tariffs on imported goods caused retaliatory barriers to trade in other parts of the world as well, adding “poison to the emptying well of global trade,” as the Economist put it. In the 1980s, a weak yen and a focus on innovation fueled the growth of Japanese businesses whose exports flooded the US market, specifically in the electronic appliance and automobile sectors. In 1981, President Reagan reached a diplomatic agreement with his Japanese counterparts to implement voluntary import quota restrictions. Reagan’s diplomatic negotiations eased tensions between the two countries and a potential trade war was averted. Yet, the market restriction still had some negative repercussions. Faced with less international competition, domestic US producers lowered production and artificially raised car prices. As CNN Money‘s Patrick Gillespie laid out, “less production meant fewer workers: America lost over 60,000 auto jobs between 1982 and 1984 due to the trade restrictions [and] the average car price rose by about $1,000 at the time.” While the new restrictions were not entirely negative – the quota sparked discussions on quality control in the industry, making cars safer for the domestic consumer – they showed that even in the best-case scenario of mutually agreed-upon quotas, the American public were hit with job losses and more expensive cars. A more recent example of the impacts of protectionist measures can be seen in the US-China tire dispute. In response to complaints raised by US businesses that tires were entering the US market below fair market value, President Obama enacted a 35 percent tariff on Chinese tires from 2009 to 2012. At his 2012 State of the Union address, Obama noted that decreasing Chinese automobile and light truck tire imports saved roughly 1,200 domestic jobs. Better yet, American tire manufactures saw a rise in production following the tariff. On the surface, the move appeared to be a net positive for the United States’ economy. The reality was much more nuanced. 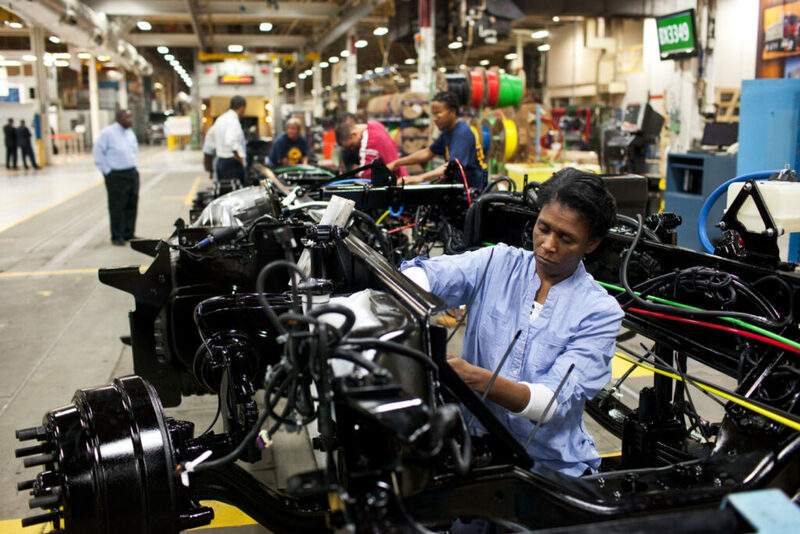 In the end, it is estimated that the measure cost over 3,700 Americans their jobs. The impact of the tire tariff can be broken down into four major components. First, faced with less competition, US tire manufacturers raised their prices. The cost of an American-made tire rose by 3.2%. These higher prices marginally reduced the average American’s discretionary income. The decrease in discretionary spending ability further marginally dampened the consumption of other luxury and inessential goods, overall weakening the US economy. Second, as a result of US manufacturers raising their prices, US consumers were forced to pay more for tires. The average price per tire rose from $31 to $39, which translated into increased prices for end goods that used these tires, such as automobiles and lightweight trucks. Third, the effects of the tire tariff were not limited just to the world of automotive parts; anticipating the impact of this tariff on the global economy, China retaliated by creating market barriers to imports of US chicken parts. According to the Peterson Institute for International Economics, American chicken producers lost roughly $1 billion in sales. Finally, although the number of tires imported from China decreased by 30 percent, the decline did not correlate to a 30 percent increase in domestic production. Rather, as is often the case with enacting tariffs, tire imports shifted to other countries. Specifically, tire imports from South Korea, Thailand and Indonesia more than doubled in the three year period. In the year following the tire tariff, US tire production only rose by 14 percent, while the cost of imported tires increased by 18 percent. Despite hopes to help the US tire industry, the tariffs raised the price of American-made vehicles. The tire tariff did little to benefit the US economy. From 2007 to 2012, domestic US tire jobs continued to decline. After the restriction on China ended in 2012, Chinese tire imports again flooded the US market. Even during the tariff period, US tire manufacturers saw minimal benefit, largely due to the increase in other countries’ tire imports. In addition, the tariff was poorly targeted. According to Keith Price, a representative from Goodyear Tire & Rubber Co., the restriction did little to help their business, as the tires they produced were of higher quality than those impacted by the tariff. Thus far, we have examined tariff cases that have negatively impacted international relations and the economic growth of the implementing country. However, it is important to note that tariffs are not always harmful. Currently, the United States has a standing tariff on over 12,000 imports. For example, the food industry has protective tariffs enacted on French jam, chocolate, and ham (100% tariff) unshelled peanuts (163.8% tariff), asparagus, and sweet corn (21.3%) and apricots, cantaloupe, and dates (29.8% tariff), among others. Brooms, decorative glassware, commercial plateware, leather shoes, sneakers, ship parts, and tobacco are further examples of industries with heavy tariffs. To play devil’s advocate, a convincing case can be made for tariffs in a few special instances. The World Trade Organization, for example, allows provisions for countries to violate WTO rules in order to protect industries vital to national security. The organization also allows for countries to violate free trade rules to alleviate certain health or environmental concerns. Beyond these narrow and specific examples, there is also an economic argument for imposing tariffs in specific cases where the net benefit to a country can be positive. This theory, called optimal tariff theory, claims that if a country imports a large enough market share of a good, imposing tariffs can actually cause changes in the world market price that can be beneficial to the consumers in that country. There is reason to think China has engaged in trade practices that unfairly harm US companies, and that their promised reforms have been slow in taking shape. Yet, as history illuminates, attempting to solve the problem by trading commercial blows does little to remedy the conflict’s underlying issues. Tariffs are not the only mechanism by which the United States can take a hard stand against foreign trade practices, nor are they the most effective. If reached through diplomatic negotiations, voluntary export restraints or domestic content requirements may represent less aggressive measures for the Trump administration. As the tire case demonstrates, when two countries engage in a trade war, often it is only the unaffiliated countries that gain. For the countries involved in trade brinksmanship, increasing tariffs harm both domestic producers and consumers alike. After talks in Beijing that resulted in few concrete gains and the talks in Washington that offered the possibility of some forward momentum, the future of the trade relationship between the United States and China is still uncertain. An even-keeled review of history shows clearly that tariffs are usually detrimental to both sides. For the US-China trade relationship to remain stable, the path forward must be defined by efforts to engage in mutually beneficial, productive dialogue to help prevent falling into the same self-destructive trade wars that we have seen before.